Landlord Lets specialise in Residential Property Lettings, Management and Sourcing. We are based in Hertford Town covering Hertfordshire, Essex and North London. Landlord Lets differ from other agencies as our experience is from managing our own property portfolio. We take extreme care when selecting tenants and when managing property, ensuring all legal obligations are adhered to. Whether you are new to the lettings industry and are considering becoming a buy to let landlord, or you already have a large portfolio, we can provide you with an unbeatable service. Contact Landlord Lets today for more information. 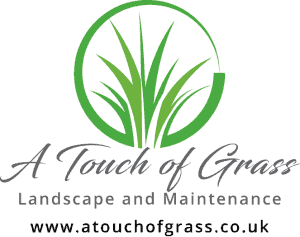 We at A Touch of Grass pride ourselves on treating each job equally and we keep our team small to give the customer a more rewarding and personal experience. We have an experienced team who specialise in all things to do with Landscape, Garden Construction and Maintenance. We really care and put effort into all work we undertake. With polite faces and very reasonable prices, whether it is a clearance, hedge cutting, or a new built garden, from design to implementation you are sure to be impressed with our range of services and expertise. We are based in Broxbourne and cover Hertfordshire, Essex, Middlesex and the surrounding areas. Please do not hesitate to contact us for more information, we look forward to hearing from you in the future.